An experimental cancer drug, termed GANT61, which was originally identified as a potential therapy for brain and basal cell cancers, has been highlighted as a potential new therapeutic for multiple sclerosis in a study published this week in Nature. The finding was uncovered by a team of neuroscientists from NYU Langone Medical Center (NY, USA), who administered daily GANT61 to mice with chemically damaged brain myelin for a total of 1 month and noticed symptom improvement with the therapy. Analysis indicated that mice in the treated group had 50% more myelin at the end of the treatment period in comparison with the untreated group. The GANT61-treated mice also exhibited an eightfold increase in the number of neural stem cells that migrated to myelin-damaged areas of the brain and eventually developed into myelin-producing oligodendrocytes. There was no evidence of this phenomenon in the untreated group. Importantly, the study is one of the first to demonstrate that neural stem cells and not just early oligodendrocytic cells can feasibly be modified to contribute to myelin repair within a damaged brain. GANT61 works by blocking the action of a key protein termed Gli1, which is involved in Sonic Hedgehog signaling – a pathway that had been noted for its increased activity in brain lesions associated with multiple sclerosis. These findings are therefore also the first to provide evidence to support the use of drugs targeted at this pathway in neurological disorders such as multiple sclerosis. Within multiple sclerosis specifically, the targeting of part of the Sonic Hedgehog pathway resulted in a different effect than when the whole pathway was blocked, which did not result in any remyelination and instead halted oligodendrocyte maturation. 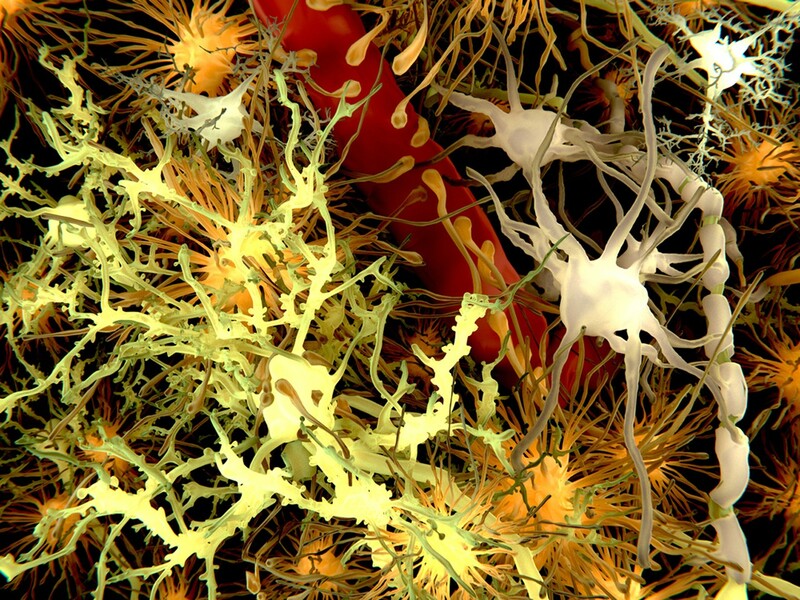 “Our study results suggest that a potential long-term strategy for treating multiple sclerosis would involve treatments that separately target both neural stem cells, to help turn them into mature oligodendrocytes, as well as young and immature oligodendrocytes to produce more myelin,” commented senior invesitgator James Salzer (NYU Langone). “Our findings also make clear that there is a resident population of adult neural stem cells that we can target and recruit to treat the disorder,” he added. The team now plan to build further on these experiments to develop an improved Gli1-inhibiting drug.